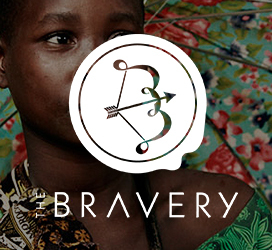 What if a backpack could change the world? 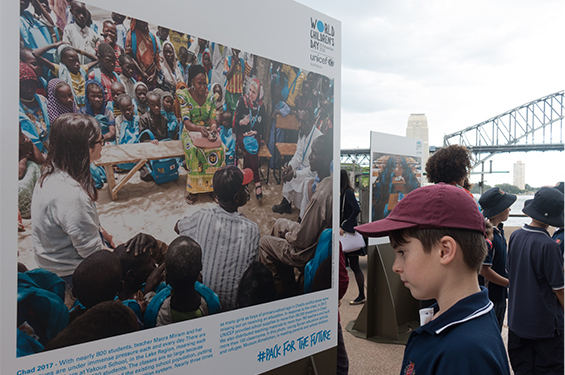 We helped UNICEF raise awareness for children's education through a clever outdoor activation that made national news on World Children's Day 2018. 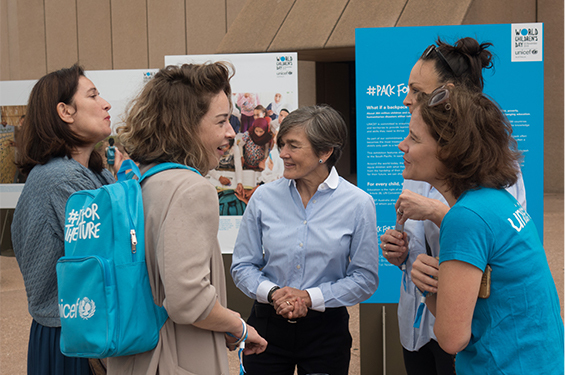 UNICEF's iconic blue backpacks are known around the world as a symbol of education. 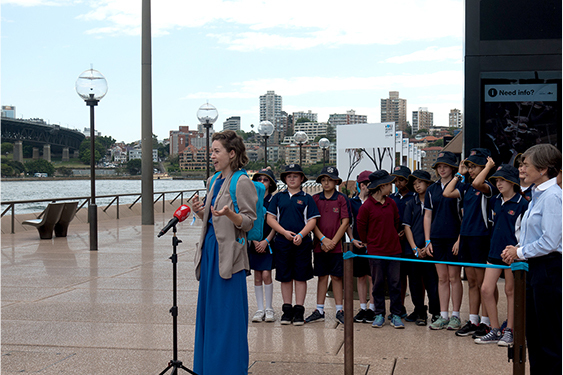 By placing the backpack in the public eye, on statues across Australia and in New York City, UNICEF broadcast its message with the world - that when we equip children with what they need to succeed, we help them live the best possible futures they can. 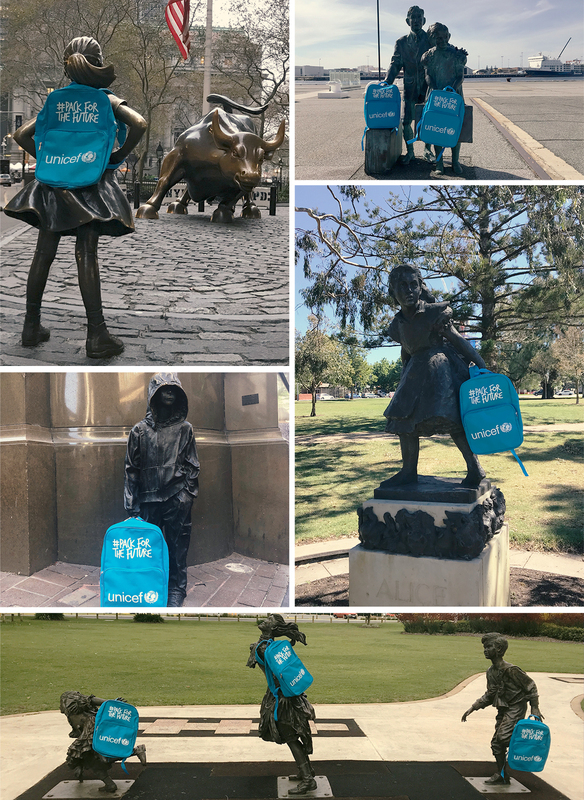 Around Australia, statues of children wore the blue UNICEF backpack. 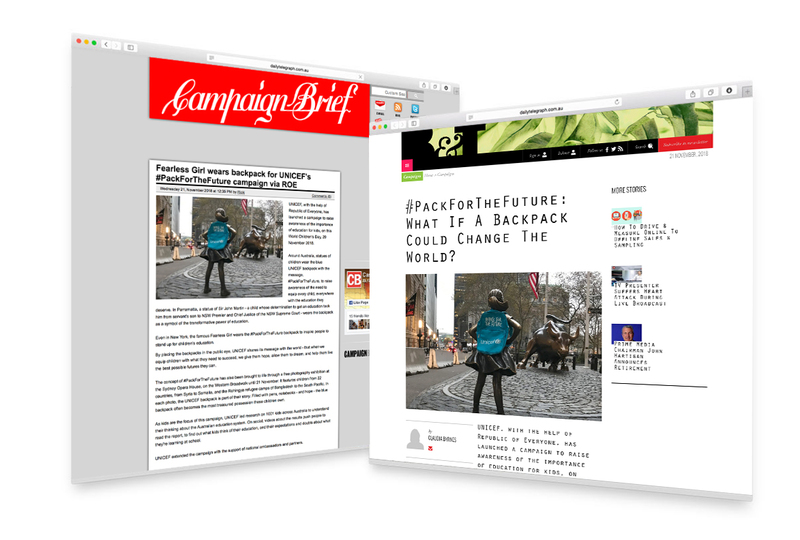 Even in New York City, the famous Fearless Girl sported a #PackForTheFuture backpack to inspire people to stand up for children's education everywhere. 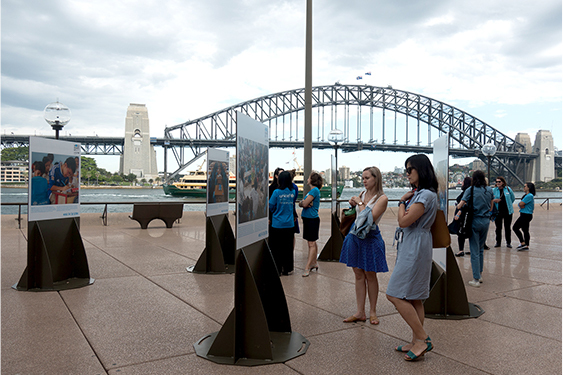 The exhibition featured children from 22 countries - from Syria to Somalia, and the Rohingya refugee camps of Bangladesh to the South Pacific. 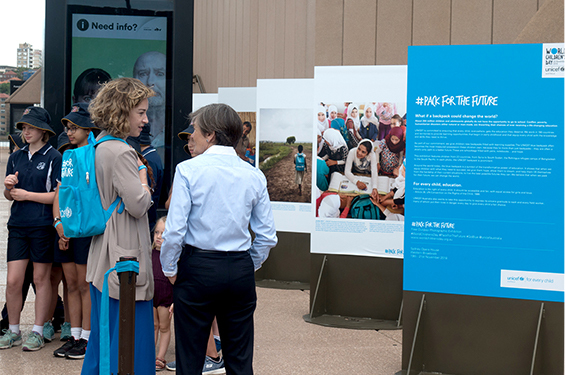 In each photo, the UNICEF backpack is part of their story. Filled with pens, notebooks - and hope - the blue backpack often becomes the most treasured possession these children own. 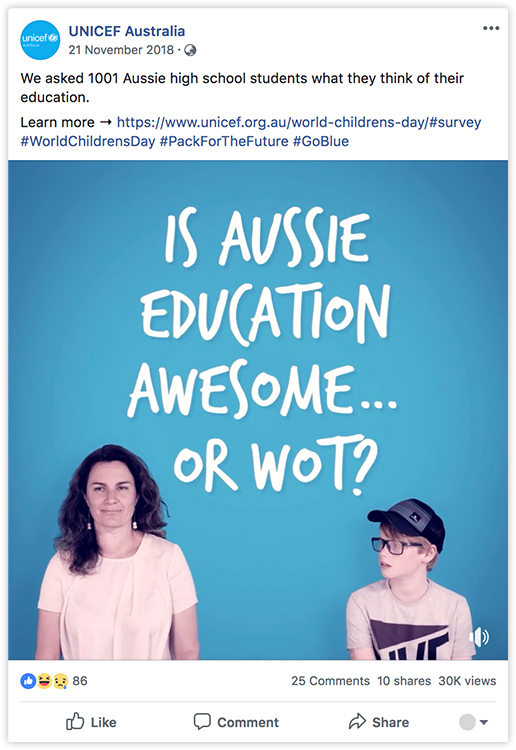 UNICEF led research on 1001 children across Australia to understand their thoughts about the Australian education system. 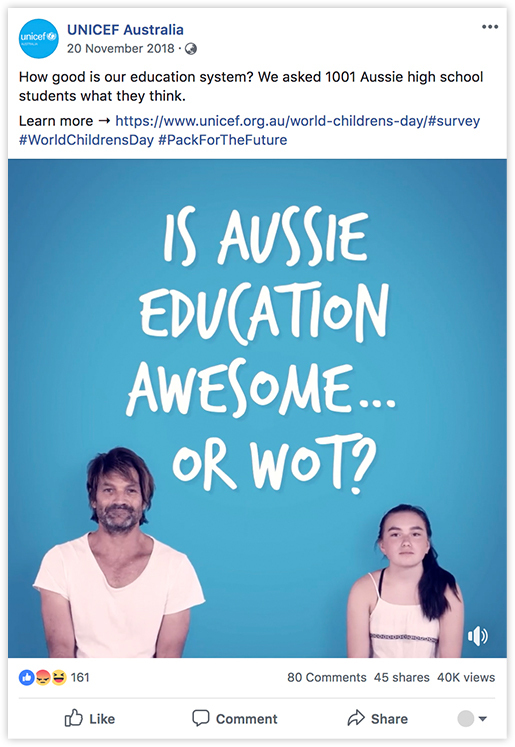 We shared videos on social to showcase the result, pushing viewers to read the report and find out what kids really think of their education.